Almost every Asian city has a vibrant street food culture, Malaysian cities are no different and many Malaysian urban centers like Kuala Lumpur, Penang and Kota Kinabalu host truly exciting street food markets, which attract foodies from far and wide. In Kuala Lumpur you are actually spoiled for choice for you can either sample famed Malaysian street foods like Char Kuay Teow, Laksa, Rojak and more, within the relatively clean and hygienic environs of the Hutong food court situated at the base of the Lot 10 mall or then head to one of the city’s famed food streets like Jalan Alor, Jalan Petaling or Chow Kit market to get a taste of the truly authentic street food fare. Lot 10’s Hutong food court hosts the outposts of the best-known family-run eateries in Malaysia and is prefect for those tourists who want a piece of the action but are squeamish about eating street side. 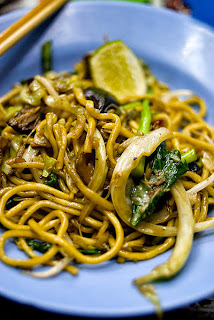 Hokkien Mee, a dish made from bamboo cane pressed yellow mee (Chinese noodles) stir fried with pork slices, prawns, squid and Chinese parsley. These noodles are tossed in a thick fragrant sauce made with spices, belacan (dried shimp), soy sauce and lard. Oyster Omelet features tiny oysters, potato starch topped with Chinese parsley. Beef Rendang is a beef curry consisting of slow cooked beef in a fragrant coconut and spice sauce served with an accompaniment of steamed rice. Kaya toast features a thick slice of white bread toast topped with coconut jam known as Kaya. This dish features marinated fish wrapped in banana leaf and chargrilled. 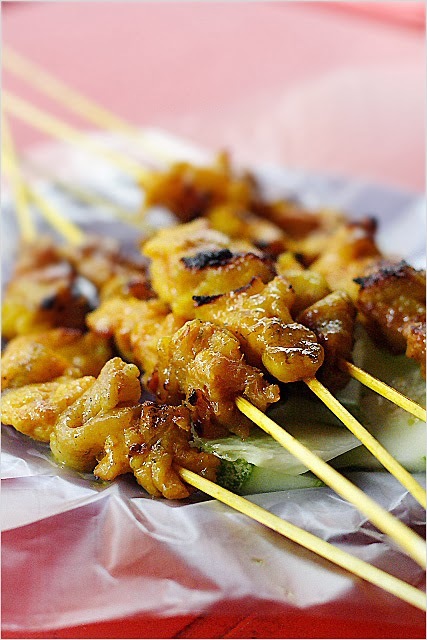 Satays are grilled skewers of meat, which are immensely popular as street foods. Laksa consists of a rich coconut milk based soup flavored with fragrant spices and featuring noodles and seafood. Penang is a world-renowned street food destination. Street food or hawker food, as it's popularly known is the city's biggest draw. The street foods of Penang reflect the multicultural make-up of the city, which is home to a population of Chinese, Malay and Indian descent. The city also offers a good selection of Nyonya cuisine, a fusion fare that was born from the intermarriage of Chinese and Malay immigrants. A dish of Char Kuay Teow features a substantial helping of flat rice noodles stir-fried with a generous amount of dark soy sauce and prawns, eggs, bean sprouts, chili, shrimp paste and pork lard. In Penang, a Char Kuay Teow is usually topped with shredded crabmeat for a local twist. Penang Asam Laksa is perhaps the most famed street food of Gurney Drive. 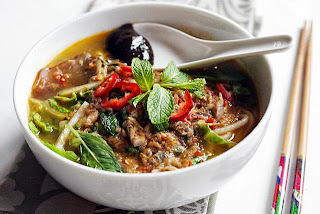 The Penang Asam Laksa consists of a tart and spicy broth flavored with tamarind and mackerel flakes. To this broth are added regional ingredients like belacan (prawn paste), rice noodles, torch ginger flower, galangal, lemongrass, chilies and shallots. The Asam Laksa doesn’t feature pork as a component and offers a sure fire cure for a head cold. 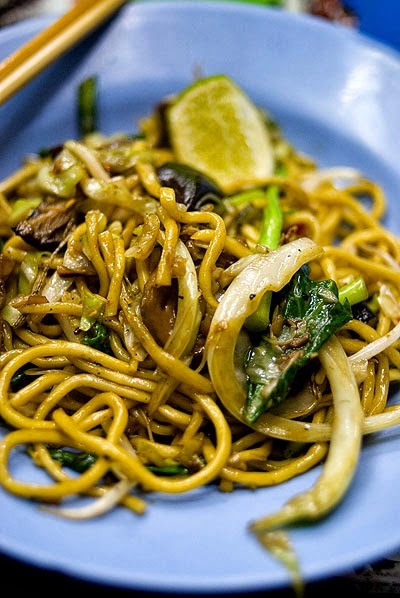 The Penang version of Hokkien Mee features a soup base made from shrimp or balacan or pork bone. It features thin rice and yellow noodles along with other components like prawns, fish cake, water spinach, slices of chicken, fresh lime and chilies. Hokkien Mee is popular as a breakfast dish in Penang and is served with a healthy dose of Sambal. A dish of Wonton Mee features egg noodles in a sauce made from soy sauce and lard oil. Other components of the dish include Chinese kale, chopped green onions, pickled chilies and steamed or fried wontons. Wonton Mee can be had ‘dry’ or then ‘wet’ in a rich clear broth. Nasi Kandar is a popular rice-based complete meal, which features white steamed rice served with various spicy curries. Nasi Kandar is a regular fixture at the many mamak (Indian Muslim) stalls of Gurney drive. The curries served with the rice, Nasi feature poultry, fish and meats like fried chicken, curried beef and squid (sotong) and even fish roe. Vegetarians can avoid the meats and fish and go for the vegetarian curries, which often feature vegetables like okra, aubergine and bitter gourd as components. Lor Bak is a Nyonya dish and features minced pork which has been marinated in five-spice powder. This pork is then wrapped in a bean curd skin and deep-fried. These rolls are then served with two kinds of dipping sauces, a spicy, red chili sauce and a thick, gravy-like sauce, called lor. Rojak is essentially a Malaysian salad that has Indian-Muslim origins. Rojak usually features shredded vegetables like cucumber and turnip combined with diced potatoes, beansprouts, boiled egg and tofu, all of which are tossed together with sweet and spicy peanut sauce. In Penang, a Rojak Pasembur is usually topped with prawn fitters. An ice kacang is a shaved ice dessert which features rather unusual ingredients like red bean, grass jelly, sweet corn and attap chee or palm fruit. The mountain of shaved ice is further anointed with a variety of sweet syrups and coconut milk. 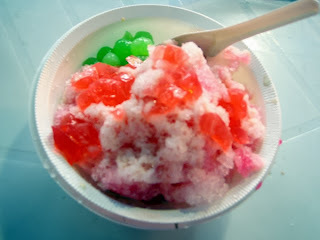 An ice kacang presents the perfect antidote to a hot, sultry Penang day. Tuaran Mee or Tuaran noodle is a substantial dish featuring stir-fried yellow egg noodles (these noodles are sourced ffrom the town of Tuaran and are crispy on the outside but soft on the inside ) garnished with slices of egg rolls, roasted pork and stir fried greens. This dish, which is essentially a fish salad, has its origins in the cuisine of the Kadazan people, an ethnic group native to Sabah. This refreshing salad features raw mackarel fish (known as tenggiri in Kadazan) fileted and then sliced and marinated in the juice of four to five limes. The fish is then tossed together with thinly sliced ginger, shallots and chili. This salad is then garnished with dried, grated bambangan( a mango-like fruit native to Sabah) seed or even finely sliced bitter gourd. Bambangan is available at most markets in Sabah and pickled bambangan served with plain rice and deep-fried fish is an extremely popular street food in Sabah. Pinasakan, is a street food, which hails from the Kadazan community. This dish features braised basung fish tossed with slices of the native takob akob fruit, fresh turmeric, salt and sliced Bambangan. Pinasakan is usually consumed with another Sabah specialty called Ambuyat , a starchy cake made from the sap of the Sago palm. 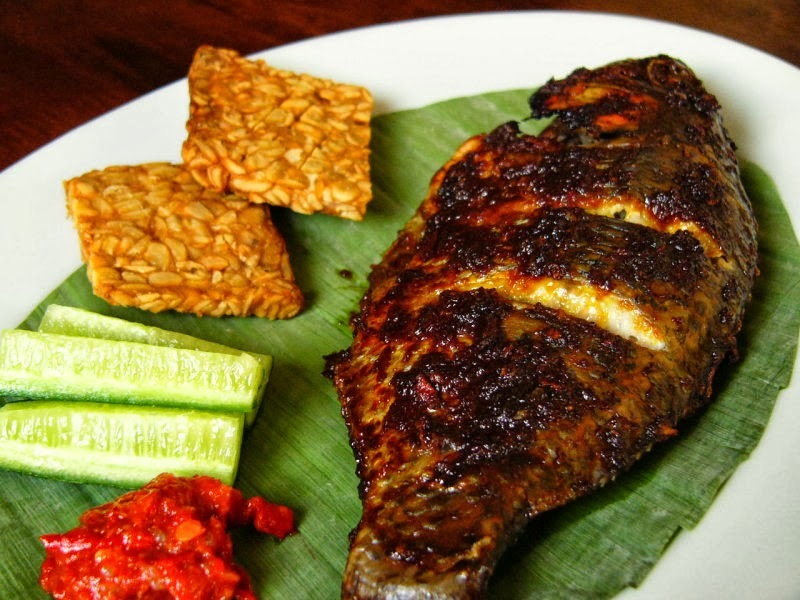 The Sabah version of Ikan Bakar is called Ikan Panggang and features a firm fish like stingray which is slathered with sambal(a chili and lime paste) wrapped in banana leaves and grilled over a char coal fire. The leaves infuse the fish with a smoky taste while the sambal spices up the fish. This sweet treat features freshly baked buns stuffed with custard or red bean paste and peanuts. The main ingredient in this noodle-based dish features fish head, which can be had with three main soup bases namely tom yum soup, bitter gourd soup or a vegetable soup that has tofu and tomato. Yet another noodle dish, this features slices of fresh pork boiled in a broth and served with noodles fried with pork lard and dark soy sauce. The term Ngiu chap translates as mixed beef and this iconic Sabah dish contains different cuts of beef served with noodles and a soup base, though you can also have it dry if you wish. Hawker stalls all over Sabah serve this tasty snack which features chicken wings marinated in a secret sauce and then barbecued over a slow fire. 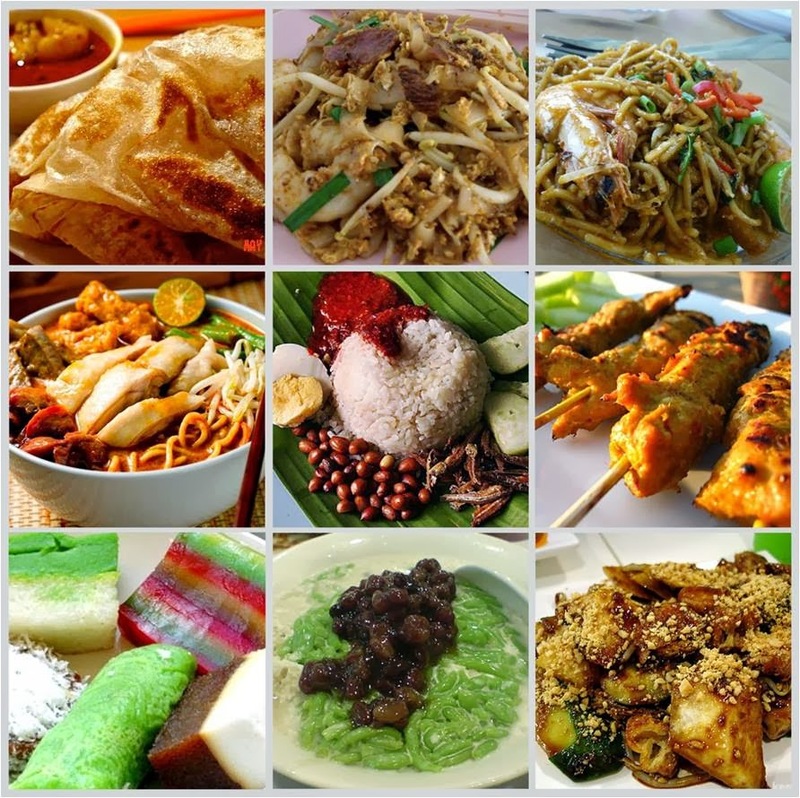 No matter where you visit in Malaysia, its many iconic street food delicacies are easily available and must be sampled to get a true taste of the country and its diverse peoples.